Manta Tools 3.16: Faster Than Ever, Extended Support for IMM, IGC and More! The last release of the year should also be the best one, right? 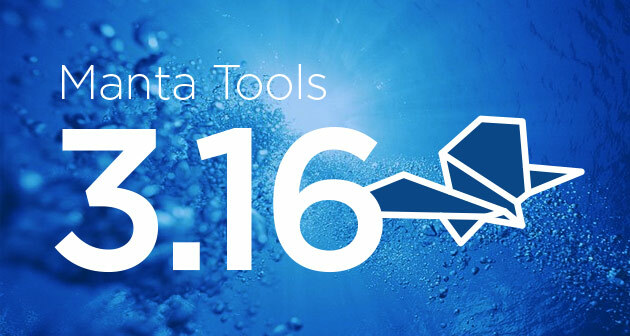 Take a look at what’s new in Manta Tools 3.16! With this release, we are preparing for a new era of our product. We’ve heavily expanded our connectors to our key partners – Informatica (and its Metadata Manager) and IBM (and its InfoSphere Information Governance Catalog). In IMM, we now support the create-rename-drop pattern and you can also add optional script addresses to the descriptions of individual elements. In IGC, we’ve introduced support for Informatica PowerCenter – so if you are among those who work with both, we’ve got you covered. Our native visualization has been massively improved as well – we’ve focused on UI tweaks this time. You are now able to filter objects horizontally and, for those of you who have really massive visualizations, you are now able to mass collapse and expand them as a whole. The parser team (yes, we have a parser team!) pushed some new stuff into our Oracle parser (invisible columns support), Microsoft SQL parser (better trigger option), and Teradata parser (Flow is now able to crunch INCLUDE statements in TPT). The overall performance of Manta Tools has been pushed to the limits of human-developed software – we’ve sped up post-processing in Manta’s core so everything is smoother and you’ll get your results quicker! Do you have any questions about the update? Just let us know at manta@mantatools.com or leave us a message in the form on the right. Also, do not forget to follow us on Twitter.